OPPO recently slashed the price of the F5 Youth all the way down to PHP 12,990. 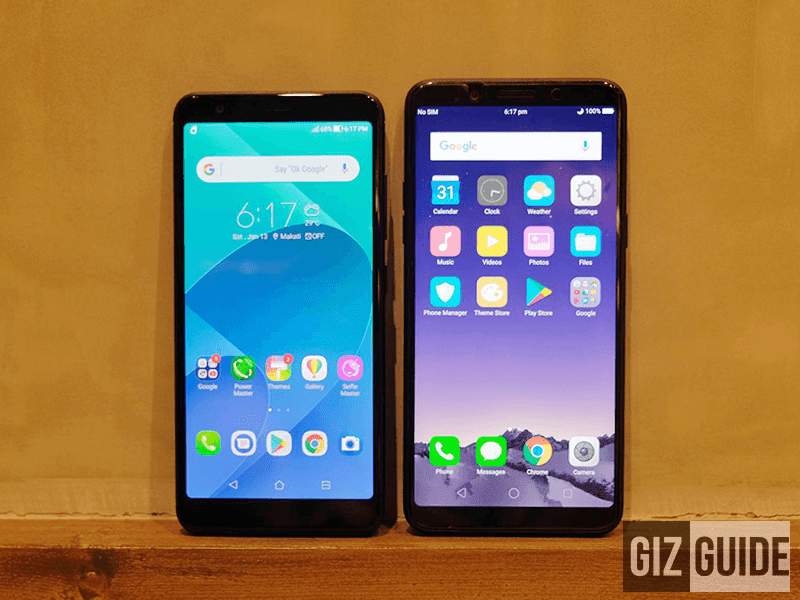 Today, let's see how the OPPO F5 Youth will fare against the specs of the new ASUS ZenFone Max Plus M1 priced just PHP 11,995. OPPO F5 Youth advantages - Bigger screen, speedier processor and GPU, better selfie camera specs, 700MHz LTE. On paper, go for the ASUS ZenFone Max Plus M1 if you need a phone with bigger battery capacity and a more compact look. It also has more RAM if you need a slightly better multitasking machine, more camera pixels and modes for mobile photography, and more affordable price tag. On the other hand, the OPPO F5 Youth is for those who need a bigger 6-inch 18:9 display, much faster processor and GPU that can handle some heavy games, better selfie camera specs, and nicer indoor LTE signal penetration. Both phones has advantages over each other. Actual testing is needed to determine the true winner.